In less than two weeks, UFC Middleweight champion – Anderson Silva – will put his belt on the line, as he faces the division’s number one contender — Yushin Okami. The Silva vs Okami match will kick off at UFC 134, dubbed as “Rio”, on August 27 at the HSBC Arena in Rio de Janeiro. 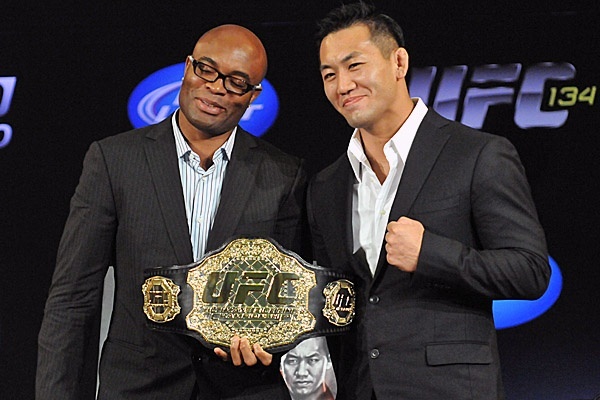 Both fighters believe that they have unfinished business inside the Octagon, as Yushin Okami scored a controversial win over Anderson Silva via disqualification in 2006. Since then, the middleweight champion carries a 14-fight win streak, listing himself as one of the best MMA fighters in the world. Will The Thunder be able to dethrone The Spider? Let your insights be heard at the comments.